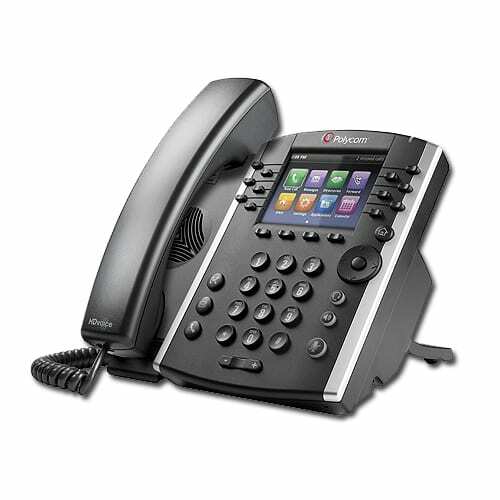 With the Polycom® VVX® 400 you can receive exceptional audio quality, improve your organization’s collaboration, and increase your individual productivity. Your front-line phone staff will appreciate the 12-line business media phone and the ways it connects with your computer’s workplace applications, including meeting reminders, meeting alerts, Microsoft Exchange Calendars, access to internal directories, and IM functionality- all of which can appear on this phone’s display. By extending their desktop they can navigate their phone’s display using their mouse and keyboard. The whole device deploys conveniently, and system administrators will be able to easily handle and provision a relatively low number of these phones throughout the full organization.